The Linde 80 Volt electrics are the ideal solution for high hourly usage indoor or outdoor applications. With the ability of running up to 18 hours on a single battery charge, these trucks are real fuel misers and can cut your fuel costs by over 90% compared to LP or diesel powered units. EXAMPLE: in an operation running 3000 hours per year, a typical 6000 lb. capacity LP powered truck may consume approximately $10,000 of LP fuel PER YEAR at a cost of $20 per tank. 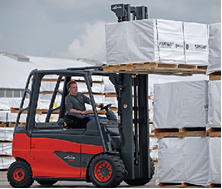 A Linde 80 Volt electric in the same application may consume approximately $620 of fuel PER YEAR at a cost of 8 cents per Kwh, saving you over $9,000 per year in fuel costs alone. Additional savings are gained by greatly reduced maintenance and repair costs through the elimination of engine and transmission oil and filter changes and greatly increased tire life. In summary, in many high hour applications, it is not unusual for the monthly savings in fuel, maintenance and repair costs to equal or exceed a monthly lease rate, providing an immediate ROI! 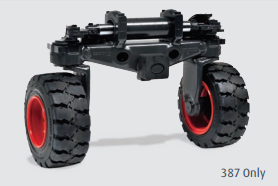 In terms of performance, the dual drive motors with electronic traction control and patented “Combi-axle” of the Linde 80 volt trucks will out maneuver and outperform virtually all competitive sized engine powered trucks. 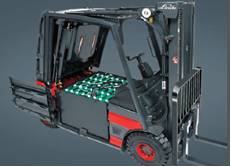 Linde 80 volt trucks are used in the roughest of applications such as foundries, recycling, etc. Changing batteries and total battery life is also no longer a concern. 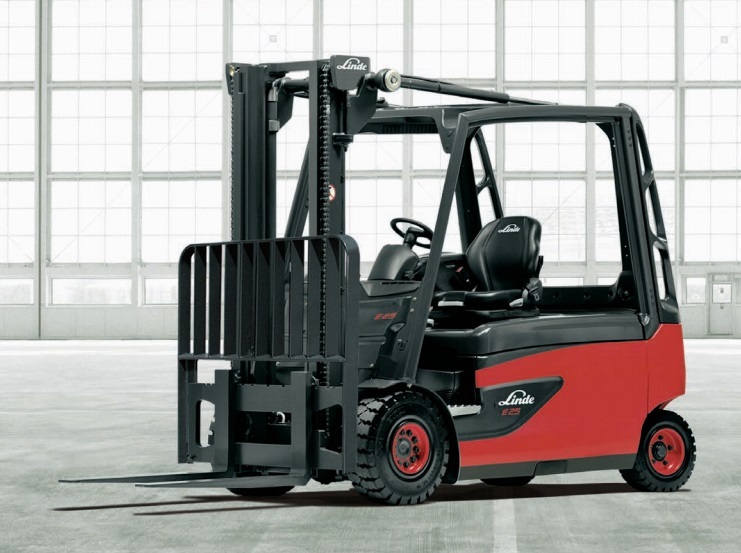 One Linde 80 volt truck, using one battery and one charger can operate more than 4000 hours per year with a total battery life in excess of 20,000 hours. Replacing fossil fuels with clean, renewable electricity. Over 95% of a battery is recyclable. Elimination of engine and transmission oil and filter changes. 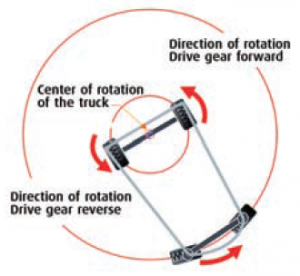 Large increase in tire life due to electronic traction control which eliminates tire spinning. Total asset life of over 20,000 hours. If it sounds too good to be true, give us a call. One of our electric truck experts will review your particular application and provide you with a written cost justification, ROI and GREEN impact summary at no charge. Still not convinced? We’ll provide you with a performance guarantee backed up by product warranties. We’re willing to put our money where our mouth is!